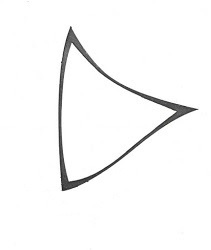 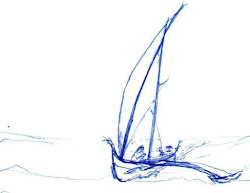 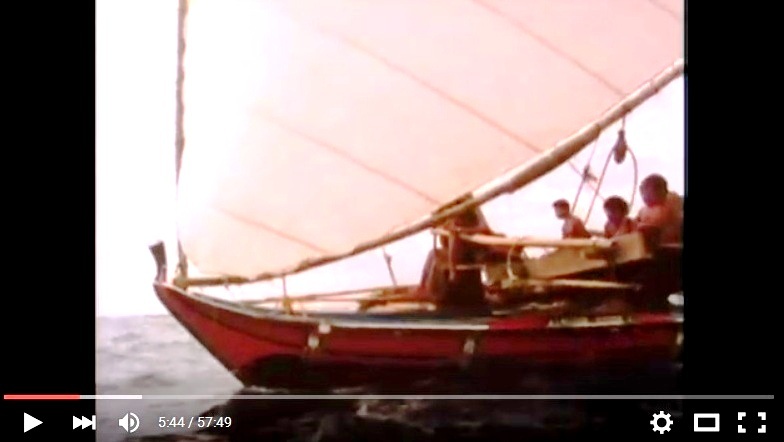 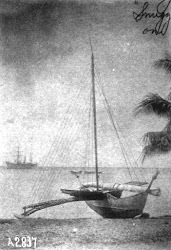 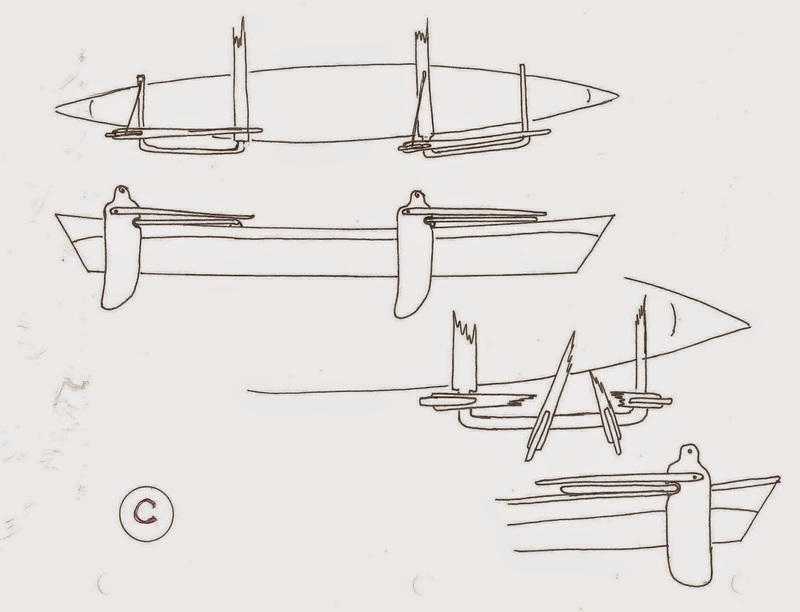 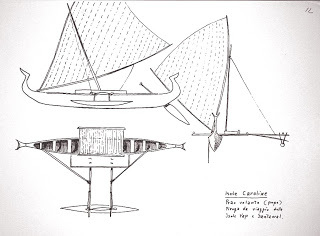 These dual rudders (shown further down) have nothing to do with the sail rig but the single quarter-rudder diagrammed just below worked very well on Voyager. 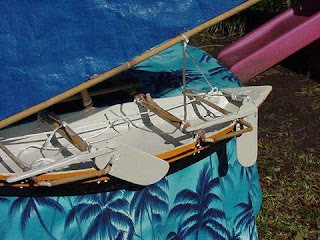 I believe the dual rudder arrangement which is shown on the model below might be workable. Besides eliminating lugging the rudder from old stern to new stern, the "idle" rudder becomes a leeboard. 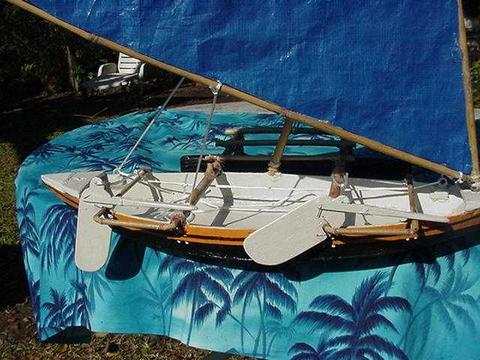 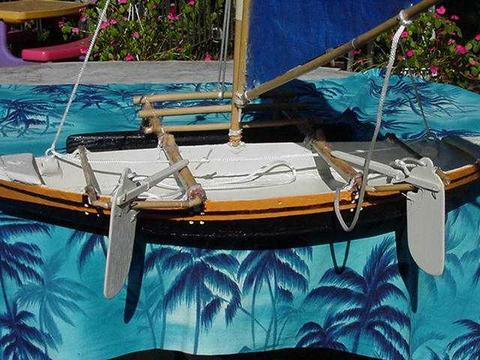 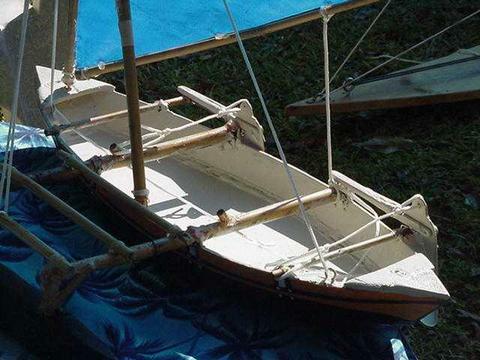 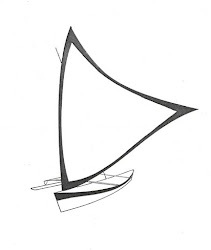 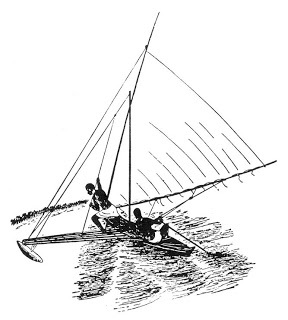 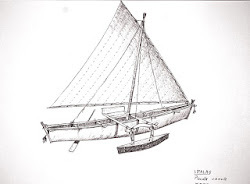 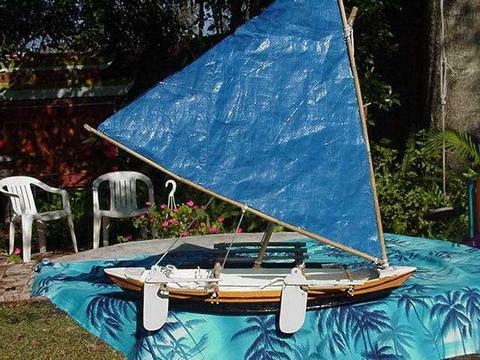 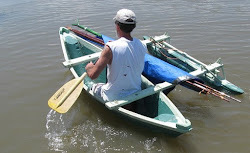 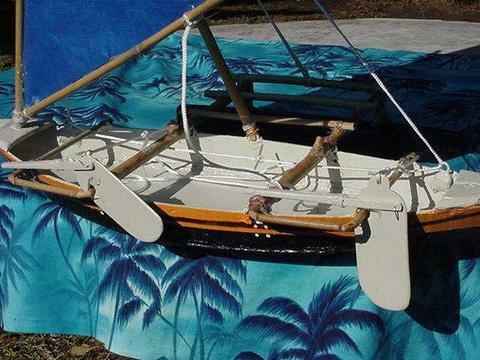 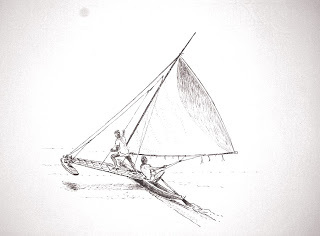 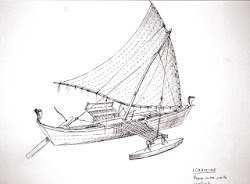 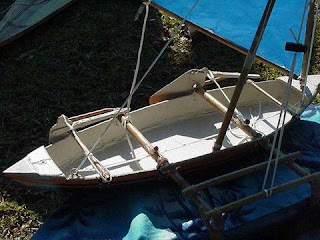 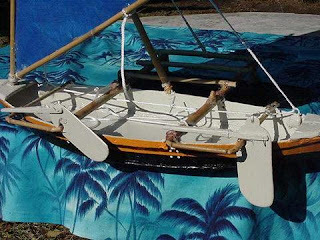 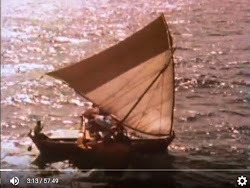 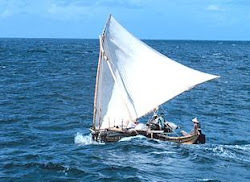 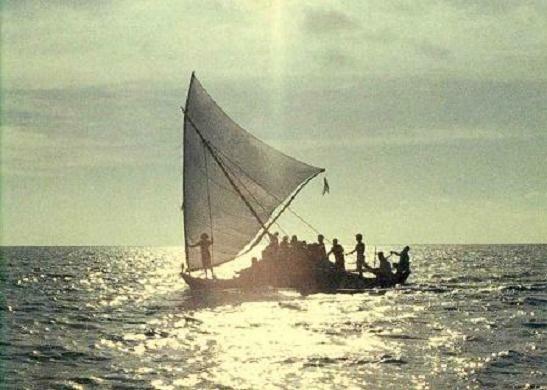 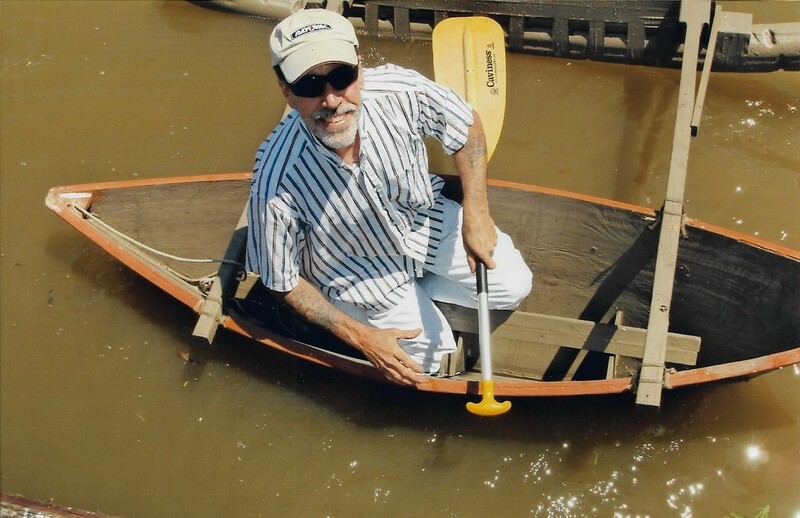 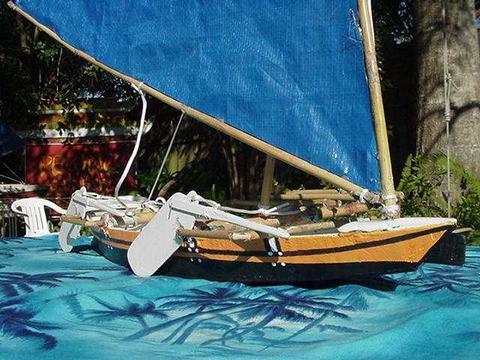 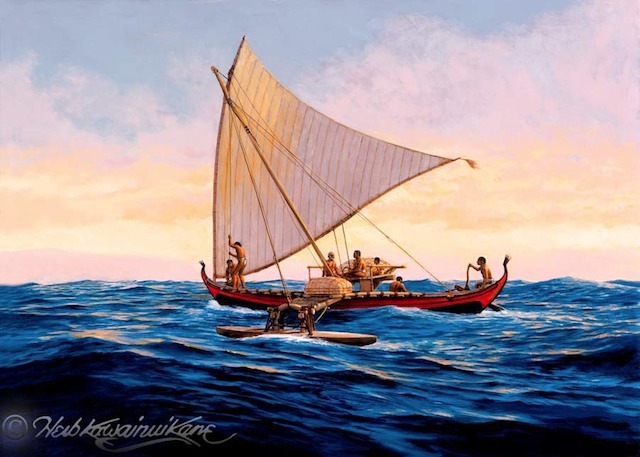 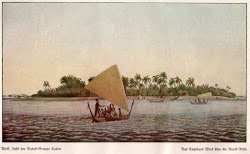 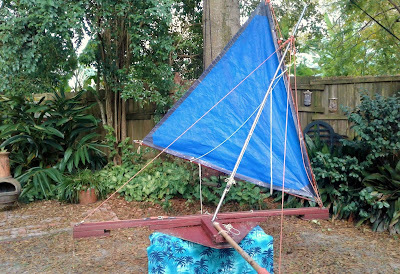 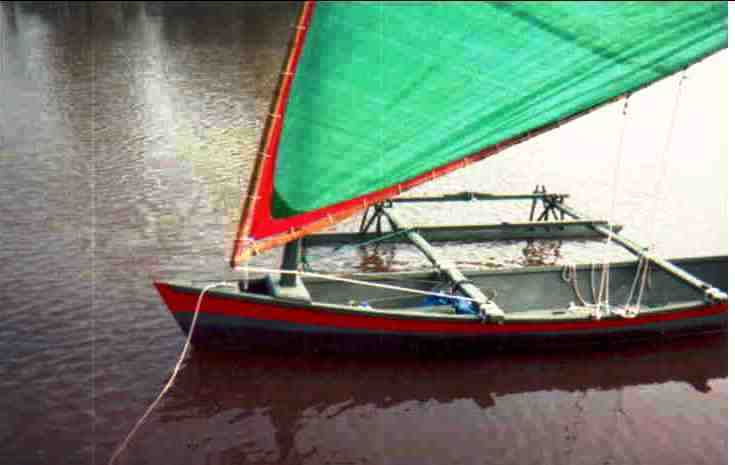 The sketches and photos of the model below (a garage sale pirogue model I modified) are pretty much self-explanatory.